The Sally Klages Memorial Fellowship will be awarded to Clarion West’s Week Three instructor in 2019 in memory of Sally Klages, with love from her sister Ellen Klages. “Week Three reinforces Clarion West’s commitment to inclusivity, so it feels particularly appropriate for that week’s instructor to be a recipient of the Sally Klages Fellowship. Sally was my youngest sister. 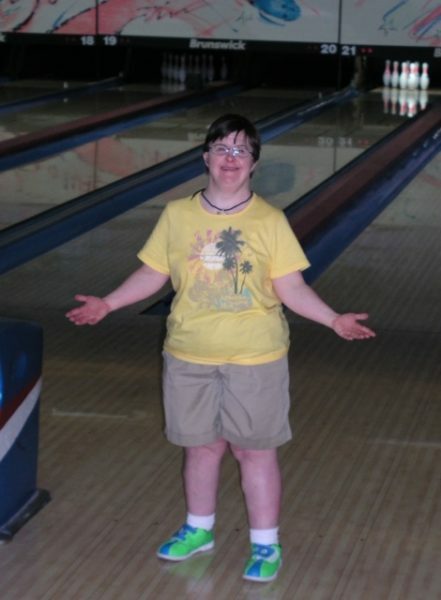 She was born with Down Syndrome, was mentally handicapped and partially deaf. This could have led to a life of isolation, of being left out and left behind. But my parents did their best to make sure that Sally was always included in family activities: church, vacations, household chores, even board games and card games. She didn’t win very often, but she didn’t care (much) as long as she got to play along with everyone else. She would announce to people that she was “multiply handicapped,” as if it was a badge of honor. To her it wasn’t a disability, it was what made her unique, made her special. Special Education. Special Olympics. Sally was much more of an athlete than I was. She competed in swimming, diving, track and field, bowling, cross-country skiing. She won more than three dozen medals. One day, I asked to see them all. She draped them around her neck, one by one — gold, silver, bronze — until she could barely stand up straight for the weight of all the bling clanging across her chest. “That’s pretty impressive,” I said. “No,” she said. “You can’t.” The very idea both amused and appalled her. 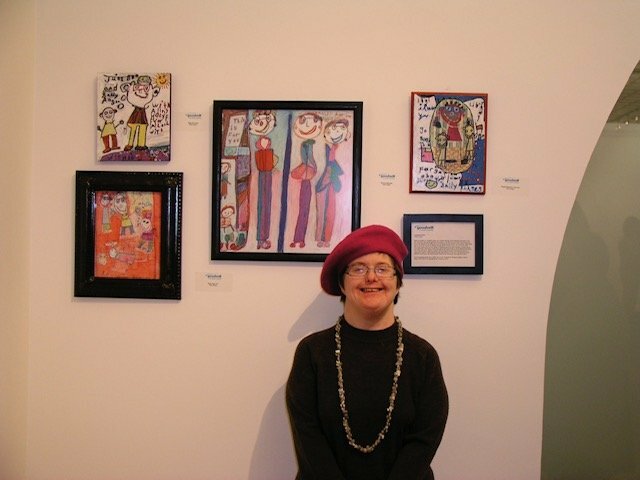 Sally Klages was a lifelong writer, athlete, and artist. She was born with Down Syndrome. 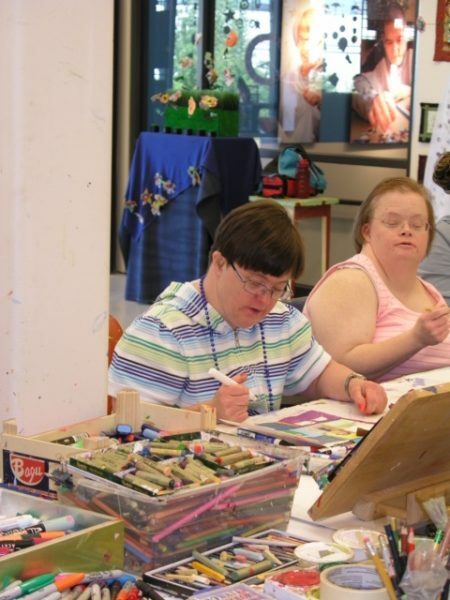 She was a founding member of the Down Syndrome Association of Central Ohio (DSACO), a board member of the National Down Syndrome Conference, and an active self-advocate. 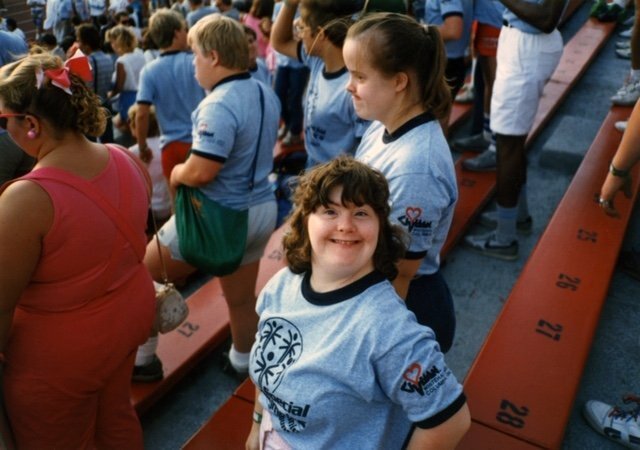 For more than a decade, she participated in the Special Olympics, winning medals in half a dozen different sports. She died in 2016, at the age of 55.